Home » Blog » What is Virtual Assistance? In one of the articles, we discussed the reason why most companies are outsourcing jobs elsewhere and that one of the most lucrative job is being a Virtual Assistant. In a nut-shell, it was disclosed that a VA works just like an office secretary. However, unlike a secretarial job, virtual assistance touches on a lot of things. Hence, in this article we will be delving deeper into the world of Virtual Assistants. Some known institutions like BCentral.com. MSN.com and even entrepreneurial experts Paul and Sarah Edwards describes virtual assistance as one of the hottest home-based businesses at present. 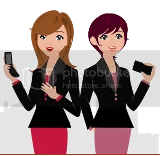 Two significant reasons are behind the blooming and booming of this business – the costs for starting up and maintaining it are considerably low and Virtual Assistants are simply able to render valued service that’s incomparable to others. In Virtual Assistance, two main characters figure in the scene: the client/employer and the service provider. To understand the depth of its scope, it would be a good idea to consider a few things first. Who knows, these things just might convince you that you could have a career as a VA or a project manager for a virtual assistance office. Now that we’ve got that right down pat, we’re off to the most important question: what is Virtual Assistance? It is one among the new breed of administrative professions that are quickly leaving their marks on the World Wide Web. This profession generally refers to people, who are and can be professionals and are called Virtual Assistants. In The Free Dictionary by Farlex, the word virtual is described as an adjective that may denote something that is “created, simulated, or carried on by means of a computer or computer network.” We all know that assistance means extending support or giving help to others. Therefore, taken in a literal context, Virtual Assistance means help that is simulated or carried through a computer or computer network. Those who belong to this profession provide administrative and personal support to a handful of clients with whom they might have already established long-standing two-way relationships with. Being that everything takes place virtually, there is no face-to-face contact between the client and the service provider. All conversations between them take place through emails, Skype, Google Talk or Yahoo Messenger. Deployment of tasks is done through a project management tool. Imagine working without having to step out of the house and braving traffic! Here’s something you need to realize, though: a virtual assistance office can be made up of several people or VAs handled by a single Project Manager or it can be comprised of just one person acting as a one-man team. Basically, everything would depend on the capacity, abilities and capabilities of the person. If the VA office has grown significantly meaning there is more than 1 client being serviced, it would be a good idea to start getting VAs under the umbrella network. Yet another thing, although a virtual assistance office may be run from the comfort of one’s own home, this fact should not be an excuse for one to take everything lightly. No matter if a personal contact with your employer is not required to run your office, you still need to put yourself in the zone each morning as soon as you get up and are ready to face the day’s tasks. The professions still requires time, dedication and seriousness. You must face each day’s tasks with a strong desire to work and serve and end the day productively. Now, you probably know more about virtual assistance than you did when you came across this website. But we’re pretty sure you want to know more so make sure to read some of the other articles about Virtual Assistance and Virtual Assistants.